York Minster has the largest collection of medieval stained glass in the UK, with the earliest pieces dating from the late 12th century. The windows tell the stories of the city, county and the Christian faith across the centuries, showing the glories of Heaven and adding to the breath-taking aesthetic of the cathedral. 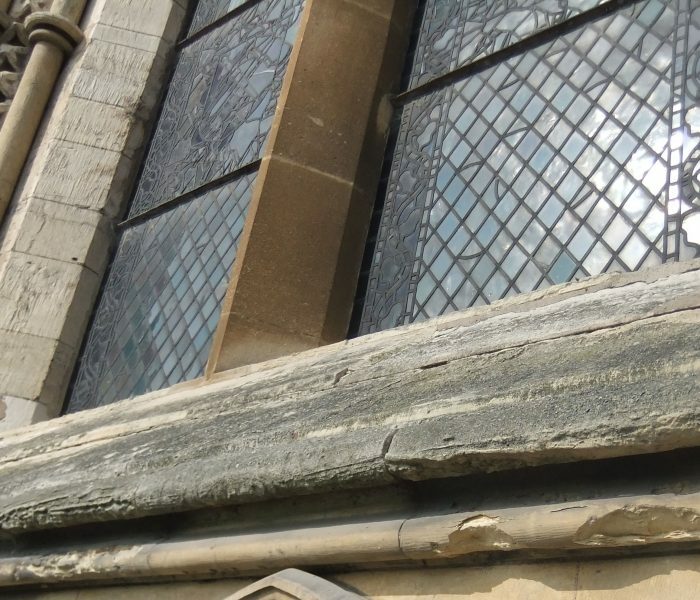 Over the next 20 years, the Minster has committed to work with York Glaziers Trust to provide state-of-the-art external glazing to all 128 of its mostly medieval windows, 60% of which currently have no protection from the elements and are therefore open to corrosion and decay. But this latest campaign is just a small part in the story of the cathedral’s work over the decades to protect its internationally renowned glass. For centuries, the Minster’s stained glass was left exposed to the elements, with environmental factors including moisture, smoke and pollution causing considerable damage. To help prevent the decay, in 1861 the Minster became the first cathedral in Britain to provide external, protective glazing to its stained glass. The early protective glazing systems were very different to those used today, with single sheets of glass initially installed followed later by diamond shaped panes. Other measures to protect the stained glass over the decades included its removal during both the World Wars. On the 2 May 1916 York experienced its first Zeppelin attack of the First World War, followed later that year by two further raids. 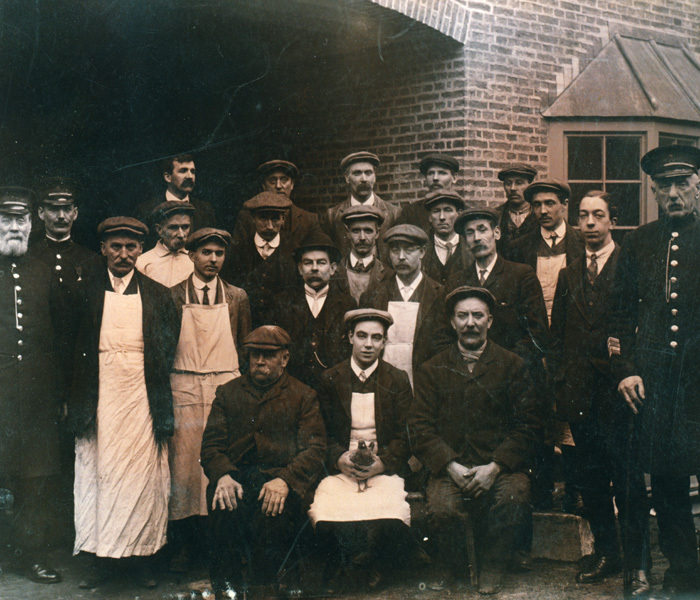 The devastation caused by the bombing prompted the Chapter of York to take precautions to protect the Minster’s irreplaceable stained glass, with its Stoneyard team (pictured) removing 109 of its windows, including the Great East Window, Five Sisters Window and the Great West Window. The glass was hidden in bomb proof shelters in secret locations around the Minster’s campus. Thankfully, York Minster sustained no bomb damage during the First World War, but the cost of removing the glass led to huge budget deficits after the war. An appeal to restore the windows as they were reinstated was launched with the aim of raising £50,000. Records show that the money was eventually raised and the windows reinstated, but only by the eve of the Second World War, when the process of removing them had to start again. More recently, York Minster again broke new ground in its work to protect its windows. 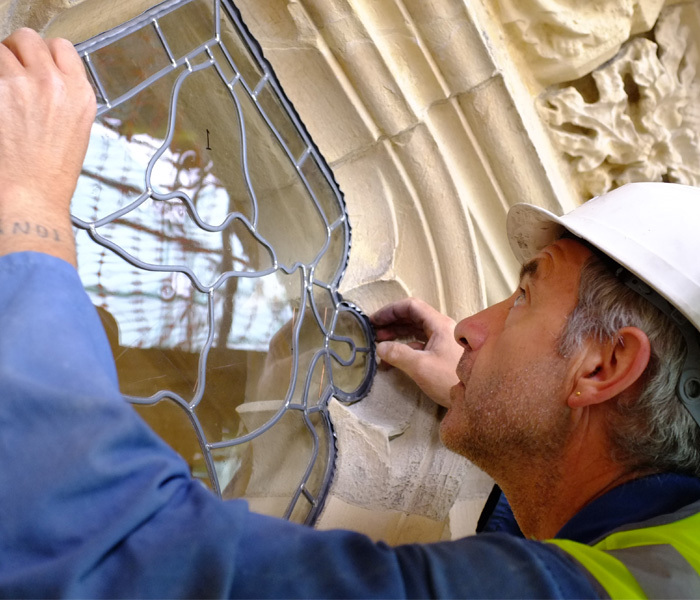 In 2014, as part of work to conserve and restore the Great East Window – the largest single expanse of stained glass in the country – the cathedral became the first building in the UK to use a revolutionary new protective glazing. The ground-breaking UV resistant glass was developed by world-famous manufacturer Glasshuette Lamberts of Germany, and it is hoped the state-of-the-art protection will preserve the 600-year-old stained glass well into the next century and beyond. To learn more about our current campaign to extend protective glazing to all our medieval windows, or to support the campaign, visit our Conservation pages.